I am proud to be part of Digital Elite Day, the best SEO and CRO conference in 2019. I have been involved with Search and Conversion Elite since June 2016 and have attended everyone in London. 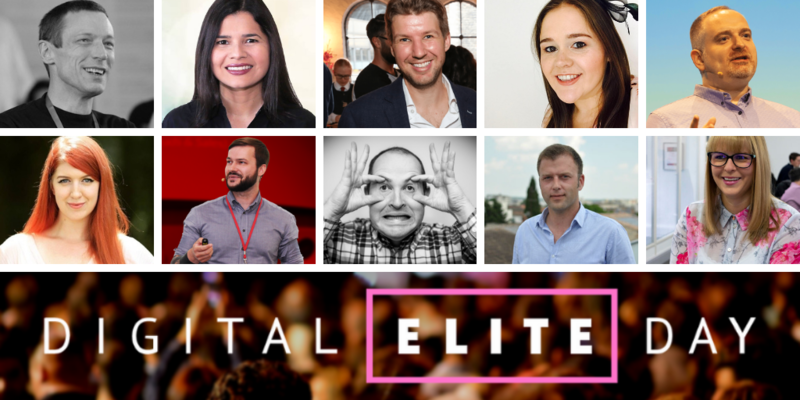 This year we have rebranded as Digital Elite and there will be practical and intensive workshops the day before the conference, which takes place on Thursday, June 6th. There will be two tracks, one for search and one for CRO and the venue isProspero House, 241 Borough High Street, SE1 1GA. Jackie Bissell Craig Rayner and Andy Brown are the team behind Digital Elite Day and thanks to Under2, we have a brand new website. There are more than 22 speakers on the day, including a key note from Karl Gilis and an SEO Clinic Q and A with Jono and Nick. This is certainly one conference, you cannot afford to miss. I wrote some of the key tips and take aways from the search session last year here. I cannot wait until the Digital Elite Day, taking place June 6th this year. The conference is for those more technically advanced both in search and CRO. You will have an all day access to the speakers and you can speak to them over lunch and breakfast. There were some healthy and sweet options last year and we will have a varied menu in June as well. We expect there to be just under 300 attendees, this is the right size to network with everyone. Doors open at 8am and we will have drinks until 7:00pm. Attendees will also have unlimited beer, wine and soft drinks as well as swag bag including t-shirt on arrival. Register for your ticket today. Search London is a media partner of Digital Elite so contact me for a special discount. 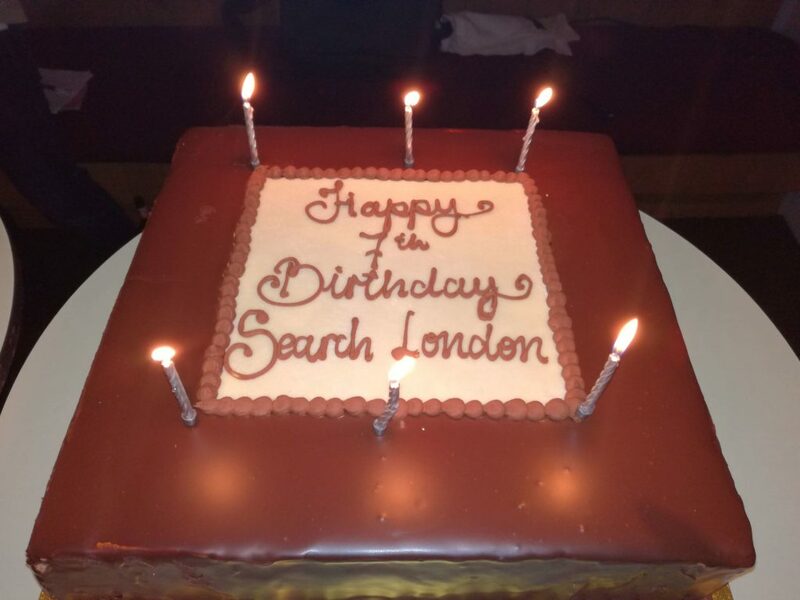 Search London is officially turning 8 years old next month and we are holding a birthday party. I took over the meetup from Judith Lewis back in October 2010 and it has grown from 200 members to over 2150 members. I am happy to see how it has grown and am pleased to say we have between 6 and 8 events a year. In the past we had International SEO consultant and EU Search Personality, Aleyda Solis, Pierre Far, as well as Pete from Kaizen, Fili Weise, Nick Wilsdon from Vodafone and Chris Green from award winning Strategiq. We will be hosting our 8th birthday party at Bounce in Holborn on Monday, February 4th at 6:00pm. We have the room until 11:00pm so reserve this date in your diary ! We will have 90 – 100 digital marketers at the birthday party with drinks, food and of course cake. We had some great parties in the past where speakers shared insightful tips. Search London is an independent organisation and we are looking for sponsors to help put on the event. Have your brand in front of a captive audience and network with some of the best search professionals. 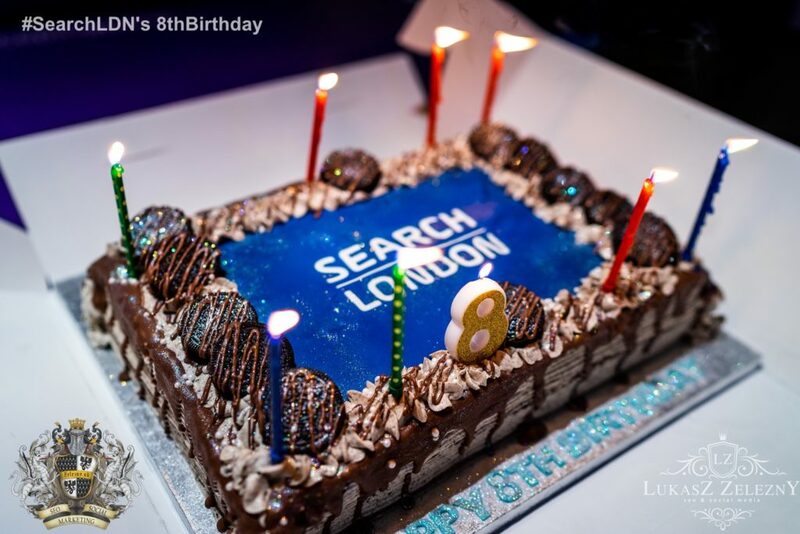 Contact SEO Jo Blogs or Tim Sheed to get involved with our 8th birthday party. 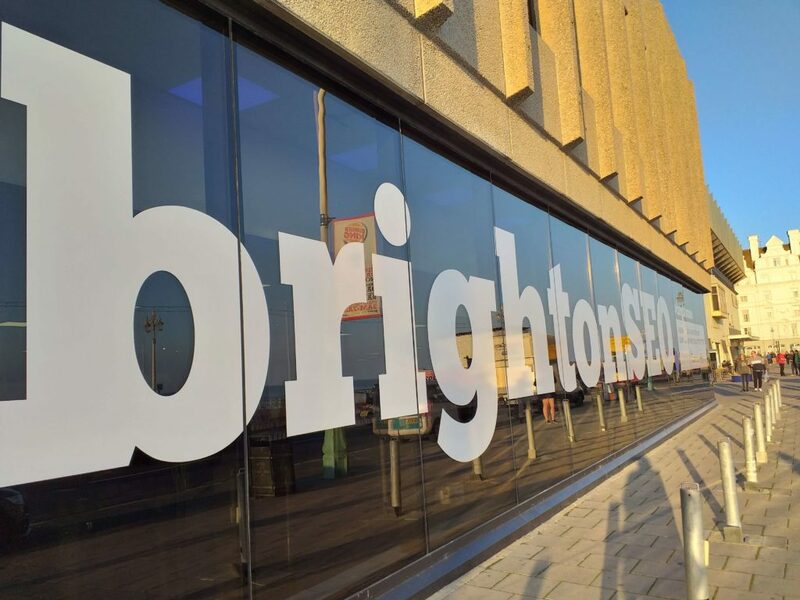 BrightonSEO this September was epic, I always love coming here. 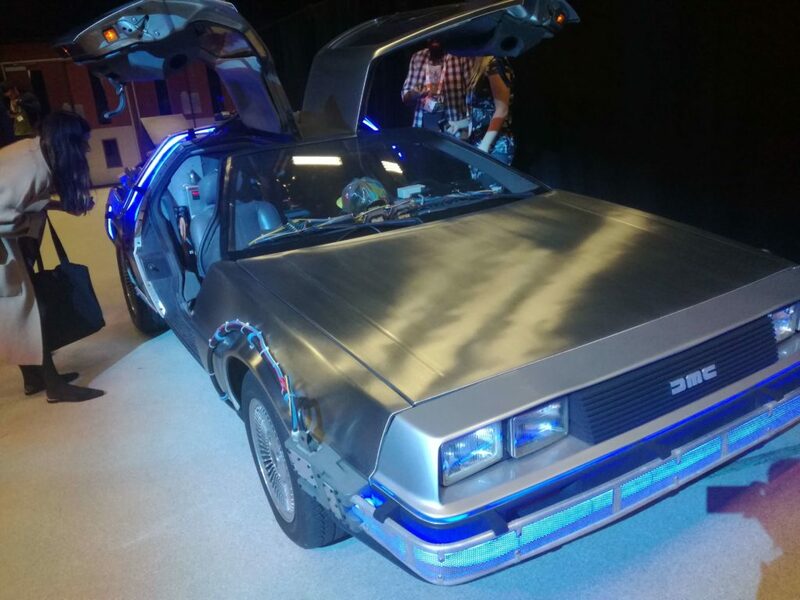 Instead of the BrightonSEO VW van, we had the Dolorean, signed by Christopher Lloyd, complete with hover board too. After an introduction by the lovely Kelvin Newman, we were ready to start. I went the Benchmark Conference in Manchester September 5th. There were some great speakers and I was pleased to be on the panel with Omi Sido as moderator. I wrote up a review of some of the key takeaways from the event. Let’s do AI- How Artificial Intelligence is Amplifying Human and Also Marketing Ingenuity- Today. 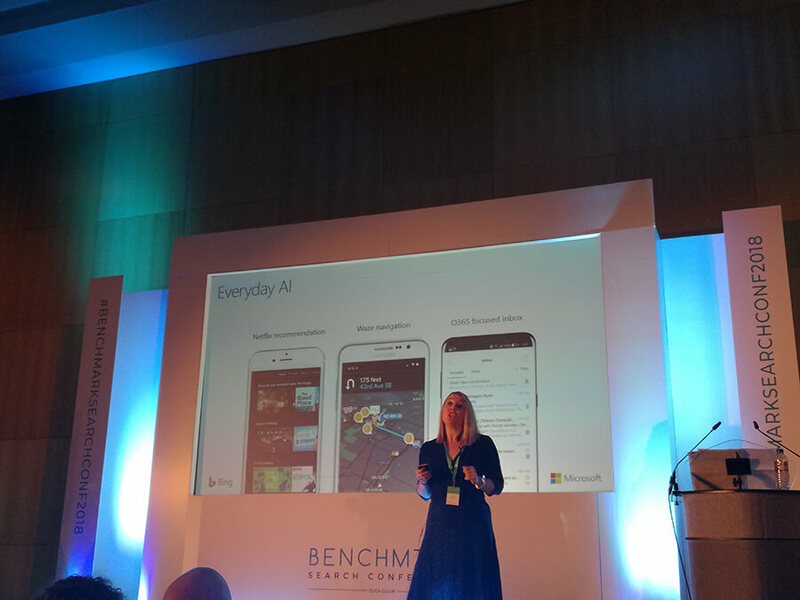 Ellie England, Sales Director, Bing Ads was first up and talked about a new technology paradigm, AI. AI is not just for tecchies, it is for everyone. AI – so much information about this. Microsoft has a lot of research on this. Bing is a search engine, but also a data repository of 2.5 billion pieces of data. 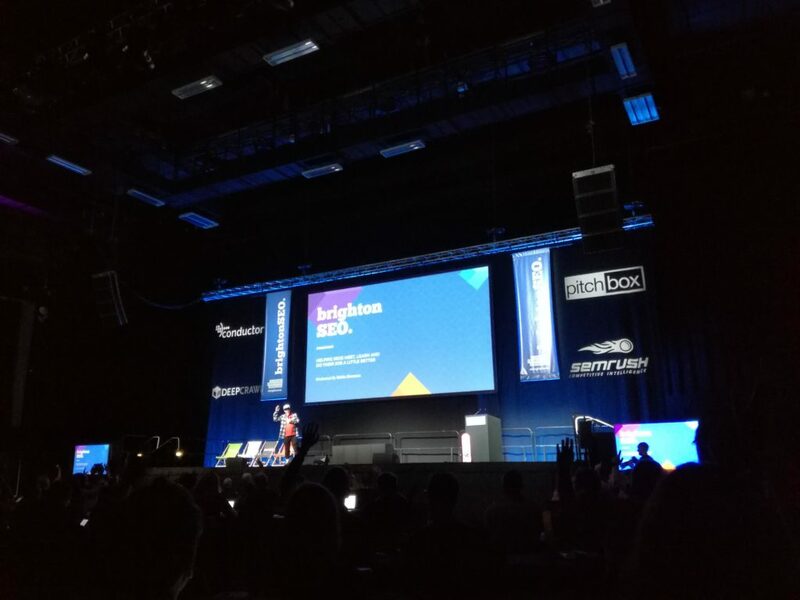 This was my first time to Search Leeds and it was great, so many fantastic speakers, I wrote a blog post of some of the sessions I attended. There have been some thorough write ups already and encourage anyone who did not go to Leeds to read all of them. Emma Barnes was first up and she gave a cracking presentation from her own experience of Google Tag Manager (GTM).